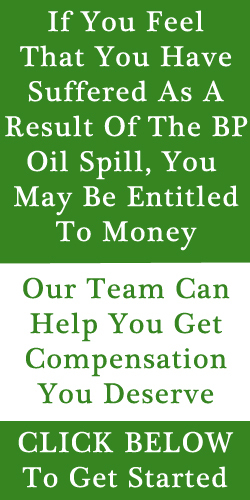 Emerald Coast Loss Claims (ECLC) is offering a Good Faith Reward Program* for information which would lead to the arrest and conviction of the perpetrator(s) of a felony which took place before, during or after the April 20, 2010 Deepwater Horizon Blast and Oil Spill Catastrophe in the Gulf of Mexico. This reward is limited to the arrest and conviction of current or previous Corporate Executives from British Petroleum, Halliburton and Transocean. ECLC will contribute the first $1000 (One-Thousand Dollars) to the reward upon it’s successful completion to the terms and conditions. *Disclaimer: Anyone can make a “good faith commitment” to this reward program. This reward is made in good faith and is not legally binding upon the donors or those that pledge (Including ECLC). Once a suspect has been successfully arrested and convicted and the original informational lead source (or whistleblower) has been identified, a public call to Pledges’ for the reward will be made on this site and then can be sent directly to the rewarded party (or charity of their choice). At that time, those that have pledged to contribute may or may not do so at that time. It is a free will choice to complete the pledge or not.